Two men who assaulted police officers in Merton have been jailed. 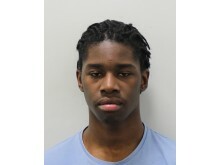 Martin Payne, 20, (06.11.98) of Brighton Road, South Croydon, pleaded guilty to one count of actual bodily harm (ABH) at Kingston Crown Court on Friday, 14 December. He also admitted driving without insurance and driving other than in accordance with a licence. 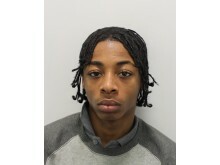 Kursan Euell, 20 (03.11.98), of Penerley Road, Catford, pleaded guilty to two counts of ABH. They were both sentenced at the same court on Monday, 21 January. Euell was sentenced to three years and six months’ imprisonment and Payne was sentenced to two years and nine months’ imprisonment. The pair were involved in an attack on two police constables who carried out a stop on a vehicle on Kingswood Road, Merton on Saturday, 17 November. A female officer who sustained head injuries and a male officer who suffered cuts were taken to a west London hospital and have since been discharged. Chief Superintendent Colin Wingrove, Commander for Roads and Transport Policing, and Chief Superintendent Sally Benatar, South West Commander said in a joint statement: “The sentences handed down to Euell and Payne indicate how serious the courts take assaults on police officers. Anyone who thinks it is acceptable to attack an officer should expect to face the consequences of their actions. “The impact of this despicable assault has been considerable, not only on the two officers involved but on their families, friends and colleagues. “Whilst police officers are rightly expected to handle difficult and hostile situations on a regular basis, we do not accept that assaults are part of the job, and we feel that our officers deserve the protection of the law in order to do their jobs effectively. “We would also like to publicly thank the members of public who stepped in to assist at the time and their actions will be recognised at a formal commendation ceremony.